Are you a diver that demand the best performance? Are you tend to be hard on your dive gear? 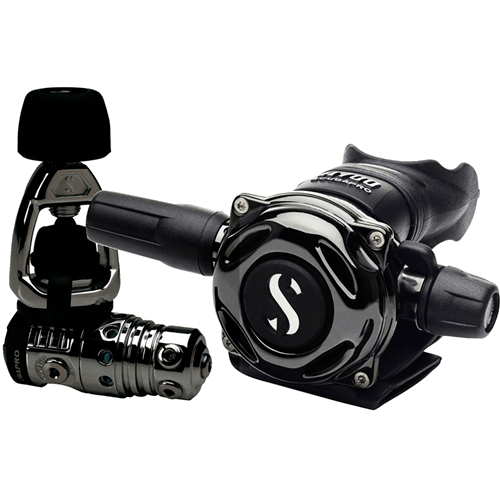 Then you should consider the Scubapro MK25 A700 Scuba Regulator. The MK25 EVO is an upgraded of the popular MK25 first stage. Scubapro kept all the great feature of the first stage but added a new “XTIS” which make the regulator up to 30% more freezing resistant than the MK25. When paired with the handcrafted full metal casing of the A700 second stage, it creates one of the most durable and great looking regulators available today. The regulator comes in a Black Tech version for divers who are more tougher on their gear. In this review, you will find out why the Scubapro Mk25EVO offers unparalleled breathing performance and durability. The Mk25 Evo A700 is Scubapro’s flagship regulator. It pairs their best performing MK25 Evo first stage with the all-metal A700 second stage to make a system that delivers ultra responsive, high-performance breathing, even in Cold Water Conditions. Who Is MK25 Evo A700 For? Below are some the key features that make this regulator stand out from others on the market. Certainly the most interesting new feature of the design, attempting to make Mark 25 first stage to perform well even in colder water. Instead of sealing it Scubapro encapsulates main spring bushing and engineers a finned cap with additional body ribs. The ribs act as a radiator to increase the surface area of heat transfer from the water to warm up the internal parts that have been drastically cooled down by the drop in gas pressure. Two opposing high-pressure ports allow positioning the first stage in the most comfortable way for any type of mount. Many tech divers report this to be a big relief from the pain of fiddling with older or cheaper regulators. Below swivel turret, five lower pressure ports provide extra flexibility to adjust the setting to your ultimate comfort. Chrome plated first stage and reinforced technopolymer casing of the A700 piece really impressed us. It certainly adds to the overall weight but will prolong the life of your regulator significantly. Inventive free-flow protection that also allows the diver to get extra control on the air supply, on top of the inhalation effort knob. This version has a extremely scratch resistant coating which also gives it a really cool “Black Tech” look. This is also great if you’re a diver who’s hard on your regulator. First stage careful construction allows maximize hose routing options. Orthodontic mouthpiece and Diver-adjustable VIVA switch just adds to a long list of well planned details. MK25 always provided the best flow rate, now got a anti-freeze coating and combined with fresh patented solutions is now able to perform even in colder water. Together with A700 regulator they present a top pair for smooth easy breathing under any conditions. Solid metal casing for A700 and chrome plated first stage are promising a long-term life even in the most rough conditions. While the price for MK25 Evo is well justified, we think there are cheaper alternatives to the second stage even within Scubapro range, which will not compromise the performance, but save you a few dollars. Airflow and ease of breathing is attended with meticulous attention and Scubapro deliver a supreme performance. From steady flow first stage delivering up to 15% more air than older and cheaper regulators, to oversized bore or the second stage. This ultra-performance regulator will definitely save you air. Its solid design will save you frequent visits to repair shops even with an extensive diving schedule. It’s a tough buddy you can rely on. It’s hard to find anything we didn’t like about this regulator, and most reviewers online gave it a perfect score. If there is anything we didn’t like about this regulator it the Price. It’s quite expensive and might not be for every diver. If you are looking for a cheaper version with similar performance, we would suggest still investing in MK25 Evo first stage, but combining it with G260 or S600 regulator. They a less rigid structure, less compact, but still light and includes the same VIVA system and other perks. 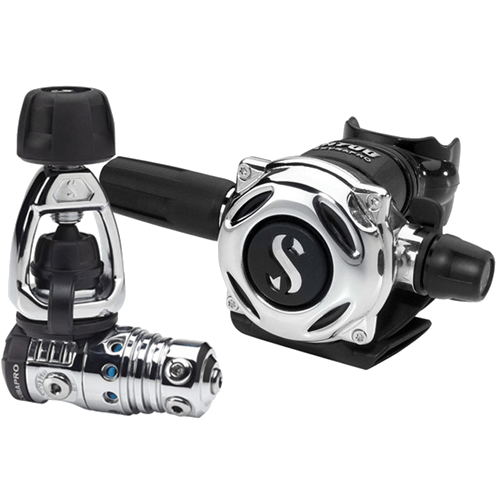 Experienced divers ready to pay extra for a high-performance steady regulator will not be disappointed with Scubapro MK25 Evo A700. While it is probably not your first choice for everyday diving in polar regions, it delivers high performance and ultra-steady tuned air supply in all other conditions. Rigid body design and materials will also withstand extensive traveling. Divers report that banging and falling on a dive boat did not do any damage to any of the parts. All of that comes with two caveats: it is a heavy thing to travel with (1.2 kg without octopus!) and it comes with a hefty price tag. Is this a good regulator for diving in cold water? MK25 Evo is a specific improvement of MK25 first stage to accommodate cold-water divers. It got EN250-2014 Requirements approval and shows great performance and steady flow even in very cold water. However, we still recommend to use environmentally sealed regulators if your diving life primarily consists of sub-zero underwater adventures. Is it Available in Both DIN and Yoke? What does the EVO mean? This high-quality durable regulator successfully bringing best flow rates and ease of breathing to colder water conditions. Scubapro gem that will make you enjoy every detail of its partisanship. If money is not an issue, this is one of the best buys for experienced divers. Black Tech version will certainly not disappoint either. Do you have any experience with the MK25 Evo A600, good or bad, please feel free to share in the comments below.